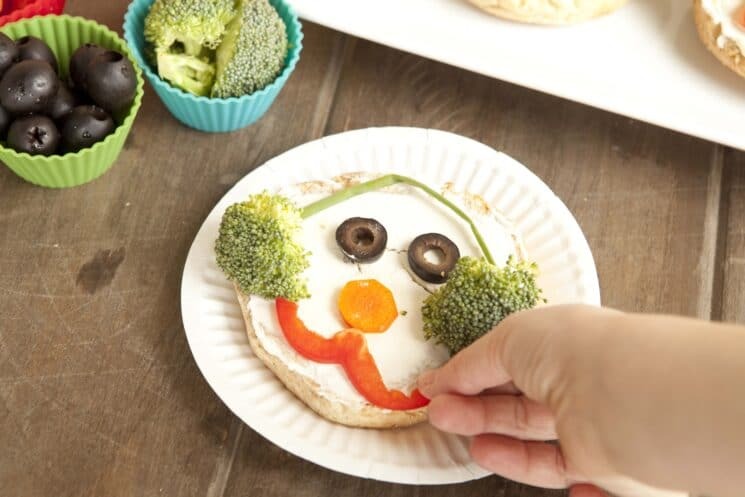 Fun food can get kids excited about vegetables! 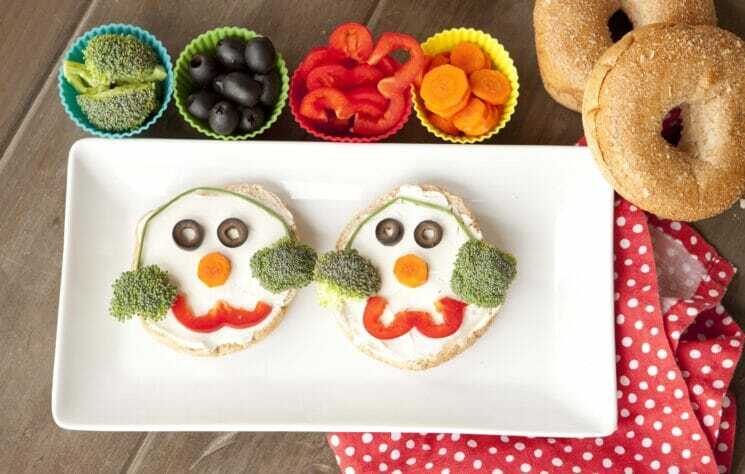 When I first started blogging here, sharing healthy ideas for kids, I had no idea that something like food art could be controversial! Without fail, any time we share on Facebook food that may look like a craft, the responses range from “Ain’t no one got time for that,” to “ridiculous”, to “Kids should just eat food because it’s fuel, not fun”. Why we like fun food for kids! Well, I have a bit of a different opinion about that! First of all, food can be fun! 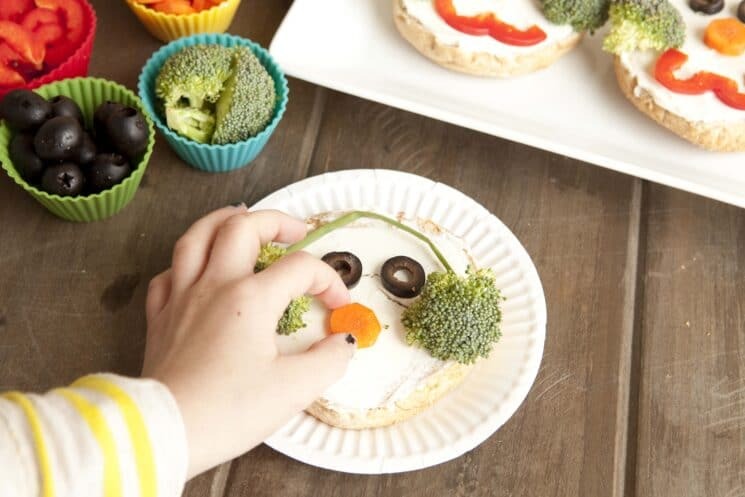 If it helps kids to select and place broccoli on their bagel, because the ear muffs wouldn’t be complete without it, I think that’s a win! If you think you don’t have time to create food art, do you not have time to color with your kids either? I see these food crafts as activities as much as I do a meal. 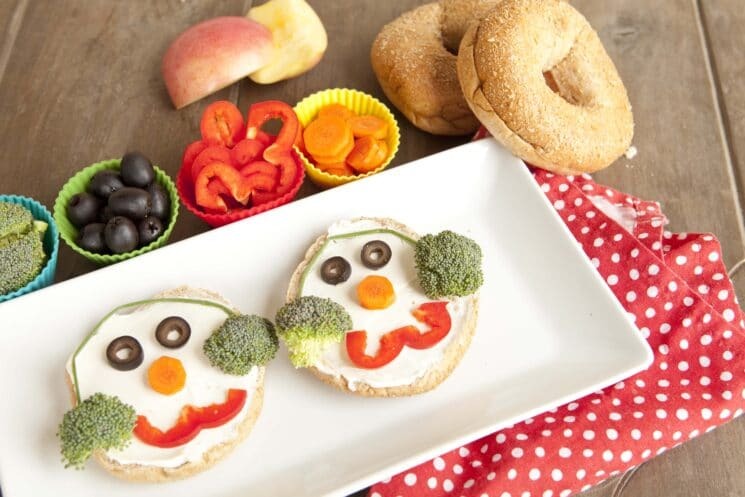 So, of course, get in there with your kids and make some fun bagel snowman faces! Simply getting kids to taste veggies is the number one goal. The more often they taste a vegetable, in all it’s forms, the closer they get to developing a mature pallette that doesn’t turn their nose up at the idea of vegetables. Instead, not only do they learn to appreciate new tastes and textures, but it sets them up to venture out into other vegetables that might have either a similar taste or texture. 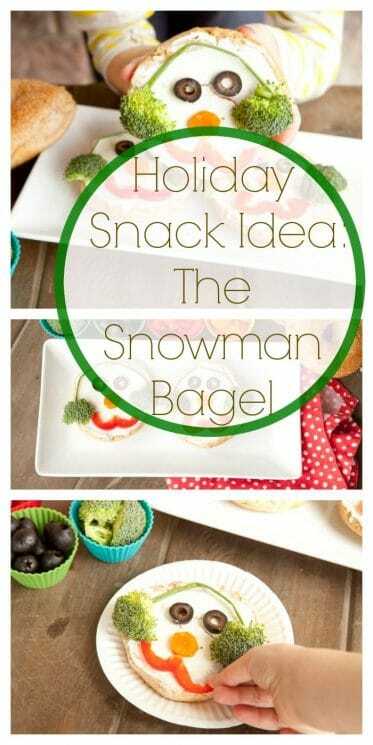 So, without further ado, hopefully I made a case for you to want to make these snowman bagel snacks WITH your kids! We first spread some cream cheese on a whole wheat bagel. Then we used broccoli, olives, carrots, green onions, and peppers in little silicone cups. 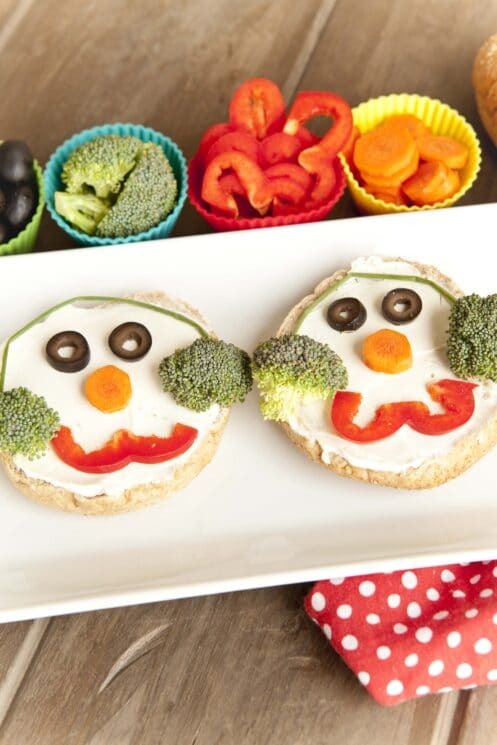 Put the veggies in little bowls so the kids can make the faces any way they want…. Options are always essential in food art! Hopefully this can become a holiday or winter tradition in your home, and the kids will ask to make these each year with the first peak of winter! Chop broccoli into bite-sized pieces. Slice olives; cut carrots and bell pepper into small pieces. Separate bagels into halves. Spread cream cheese onto the bagel halves. 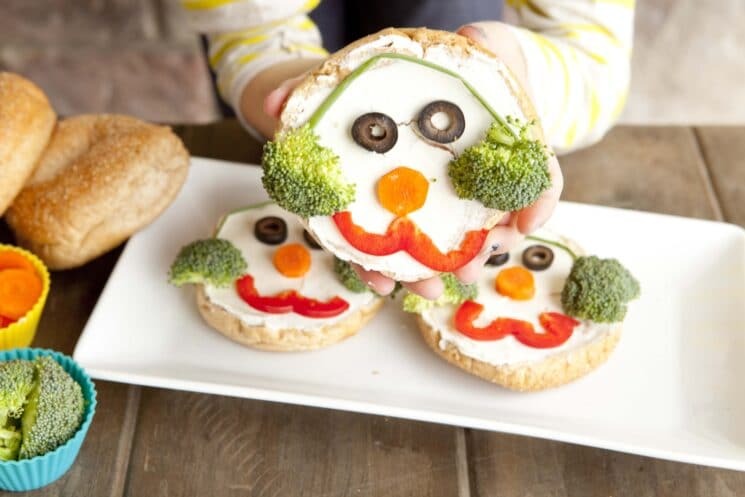 Curve a green onion around the top of each bagel half; add broccoli to each end for the ear muffs. 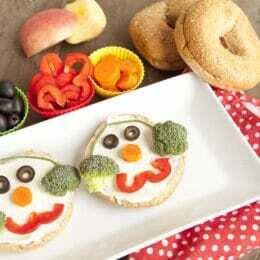 Add olives for eyes and carrot and bell pepper pieces for the nose and mouth. 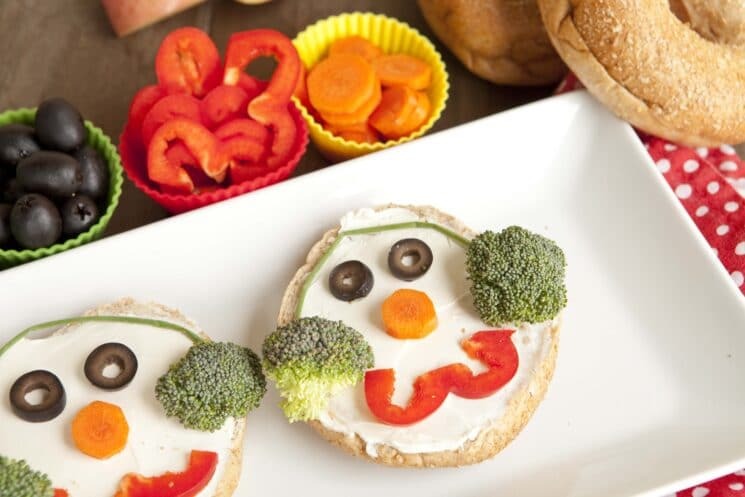 Serve snowmen with apple slices and any remaining ingredients on the side.